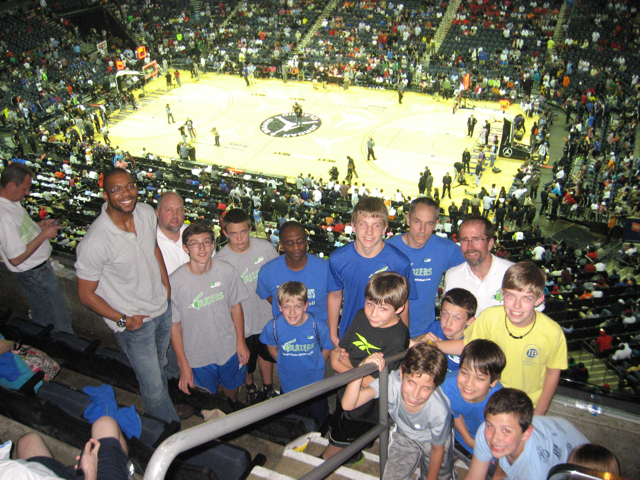 One of the early highlights of the 2012 Triangle Blazers AAU Basketball Team events was a visit to the Jordan Brand Classic in Charlotte, NC. Boys, parents, and coaches from the Triangle Blazers AAU Basketball Teams in Grades 5 (class of 2019), Grade 6 (class of 2018), Grade 7 (class of 2017), Grade 8 (class of 2016), Grade 9 (class of 2015), and Grade 10 (class of 2014) made the trip to Charlotte NC for either just the day or overnight. The boys attended a multi-team lunch, followed by the tail end of the international game, then the regional game, and finally the headline national game. The boys saw local players such as Denzel Ingram (Chapel Hill H.S. – Chapel Hill, NC), Terry Henderson (Neuse Christian Academy – Raleigh, NC), Madison Jones (Ravenscroft School – Raleigh, NC), and top tier player Rodney Purvis (Upper Room Christian Academy – Raleigh, NC). They also saw boys headed to UNC-Chapel Hill: Marcus Paige, J.P. Tokoto, and Brice Johnson. 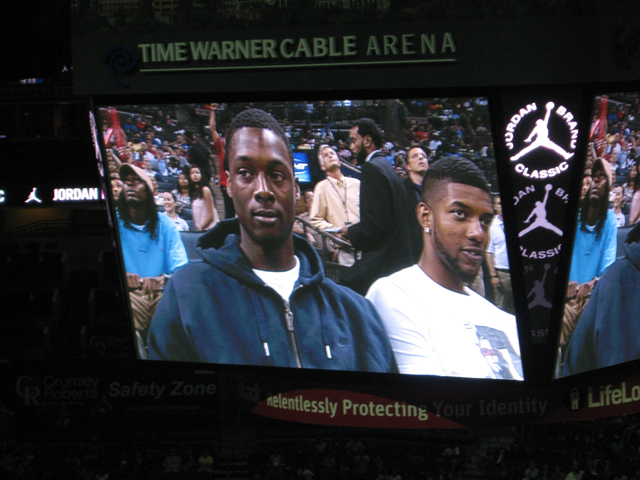 On the sidelines, many alumni attended, including Harrison Barnes, Leslie McDonald, Kendall Marshall, and many others. We even saw Coach Jim dancing on the “fan-cam”! Overall it was a great time for the families, a fundraiser for the club, and an entire weekend of family and team bonding. June 6, 2012 in Archive.